Locality: United States, Colorado, Pitkin, Ridge SW of summit Independence Pass. 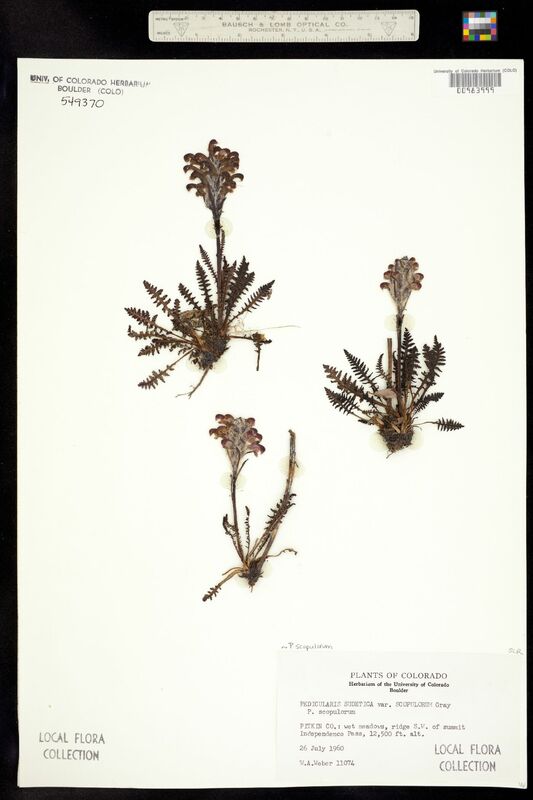 Occurrence Remarks: Original ID: Pedicularis sudetica var. scopulorum Gray.